I conduct interdisciplinary research at the boundary between robotics, neuroscience and computer vision and am a multi-award winning educational entrepreneur. My research models the neural mechanisms in the brain underlying tasks like navigation and perception in order to develop new robotics and computer vision-related technologies, with a particular emphasis on challenging application domains where current techniques fail such as all-weather, anytime positioning for autonomous vehicles. 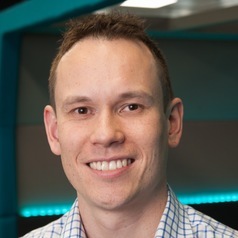 I currently hold the position of Professor at the Queensland University of Technology, as well as Australian Research Council Future Fellow, Microsoft Research Faculty Fellow and Chief Investigator at the Australian Centre for Robotic Vision. My research has attracted more than twenty-two million dollars in research and industry funding, both in the form of sole investigator fellowships and large team grants from organizations including the Australian Research Council, Queensland Government, Microsoft, Caterpillar Corporation, Mining3 and the Asian Office of Aerospace Research and Development (US Air Force). Our papers have won or been finalists for 11 best paper awards including winning the 2012 Best Vision paper at ICRA2012. I have given more than 80 plenaries, keynotes and presentations at international conferences, top universities, major industrial and technology corporations (including Google, Amazon, Microsoft, Toyota, OpenAI) and scientific meetings across thirteen countries to audiences of up to 2000 people. I have collaborated with dozens of universities and corporations around the world including Harvard University, Boston University, Oxford University, MIT, Edinburgh University, Imperial College London, Caterpillar, the US Air Force and NASA’s Jet Propulsion Laboratory, and regularly co-organize international robotics and deep learning-related events including regular workshops at ICRA, RSS and CVPR. I was recently a finalist (top 3 nationwide) in the 2016 Australian Museum Eureka awards for Outstanding Early Career Researcher. As an educational entrepreneur, I have written and produced innovative textbooks for K-12 students for seventeen years. My new company Math Thrills Pty Ltd combines mass market entertainment and STEM education, and is rolling out in more than 200 schools around Australia. Math Thrills has received pre-seed funding on Kickstarter, seed funding from QUTBluebox and further funding from the AMP Foundation. The initiative has led to honours including the 2015 Queensland Young Tall Poppy of the Year Award and a 2015 TedXQUT talk. I have dual citizenship between Australia and the United States, and have lived and worked in locations including Boston, USA and Edinburgh and London in the UK.